Stanford University Press, 9780804720687, 680pp. One of the classic works of marine biology, a favorite for generations, has now been completely revised and expanded. 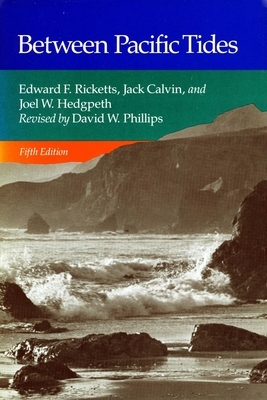 Between Pacific Tides is a book for all who find the shore a place of excitement, wonder, and beauty, and an unsurpassed introductory text for both students and professionals. This book describes the habits and habitats of the animals that live in one of the most prolific life zones of the world--the rocky shores and tide pools of the Pacific Coast of the United States. The intricate and fascinating life processes of these creatures are described with affectionate care. The animals are grouped according to their most characteristic habitat, whether rocky shore, sandy beach, mud flat, or wharf piling, and the authors discuss their life history, physiology, and community relations, and the influence of wave shock and shifting tide level. Though the basic purpose and structure--and much of the text--of the book remain the same, content has been increased by about 20 percent; a multitude of changes and additios has been made in the text; the Annotated Systematic Index and General Bibliography have been updated and greatly expanded (now almost 2,300 entries); more than 200 new photographs and drawings have been incorporated; and an entirely new chapter has been added--a topical presentation of the several factors influencing distribution of organisms along the shore. This edition also includes John Steinbeck's Foreword to the 1948 edition.